O’Rourke is forsaking a safe seat in Congress and a rising-star career for the longest of odds in an attempt to unseat Texas Republican Sen. Ted Cruz. 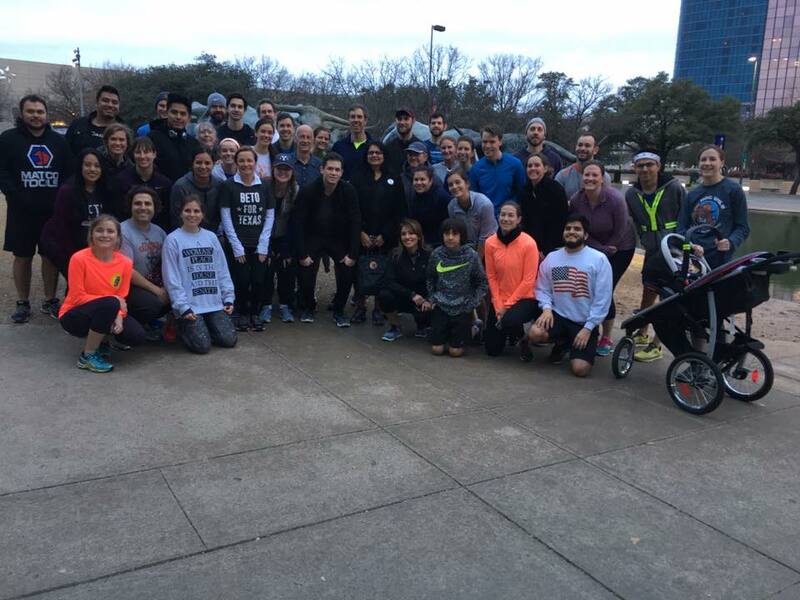 He’s running for U.S. Senate but as the Sunday morning sun rose over a park near the Texas-Mexico border, Democratic Congressman Beto O’Rourke had another run in mind. Wearing well-worn shorts and sneakers, the onetime punk rock guitarist was leading a group of supporters on a jog around a duck-dotted pond. Not everyone was game, though, including 76-year-old retiree Merrie DeVoe who said she’d instead be going to church. “But we’ll be praying for you,” DeVoe said. That could come in handy since O’Rourke looks not to have a prayer of unseating incumbent Republican Ted Cruz, whose presidential campaign only two years ago racked up millions of GOP primary votes nationwide. Even before Cruz, O’Rourke’s party hadn’t won a Senate seat in deep-red Texas since Lloyd Bentsen was re-elected in 1988. 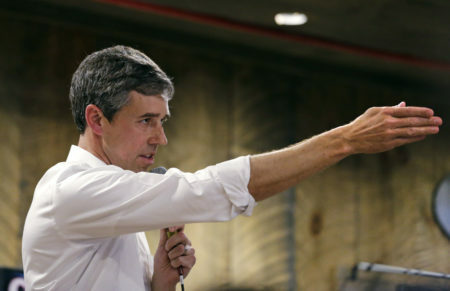 High-energy and bilingual, with a lanky, 6-foot-4 frame and a mop of dark hair that’s begun turning a distinguished gray, the 45-year-old O’Rourke reminds some Democrats and even a few Texas Republicans of a Spanish-speaking Kennedy. But many wonder why he’s giving up a rising-star congressional career and safe seat in his native El Paso for a race that looks unwinnable. Still, he said he saw little hope of changing the country’s direction under President Donald Trump by just returning to the House. So lately, he’s been holding jogging sessions, rallies and town halls across the state while raising a respectable nearly $4 million. 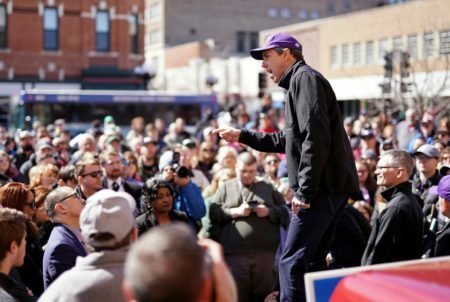 If it’s a suicide mission, O’Rourke’s campaign is a colorful one, with lively, occasionally profane rhetoric and attention-getting events that sometimes seem as much about partying as policy. At his rallies, he invites anyone to ask him anything, which provides openings to slag his own party. O’Rourke opposed ending the government shutdown, accusing the top Democrat in the Senate, Chuck Schumer, of “offering a wall to the president in exchange for doing obvious, correct things.” He said his party shouldn’t have made concessions in return for Republican assurances to soon take up legislation on young immigrant “dreamers” brought to the country illegally. A booming Hispanic population means Texas could one day be more favorable to Democrats, but the demographic shift won’t come fast enough to help O’Rourke. He also supports abortion rights, which is a tough Texas sell — even among some Hispanic Democrats who are devout Catholics. O’Rourke’s campaign has refused outside political money and doesn’t employ consultants. Before announcing his Senate run, O’Rourke called U.S. Sen. Chris Van Hollen of Maryland, head of the Democratic Senate Campaign Committee, about possible financial help. “He said, ‘Hey Beto, I’ve got to tell you, from the DSCC’s perspective, I would be fired for malpractice if I invested any money in Texas,'” O’Rourke recalled. O’Rourke said he hopes to woo Republicans angry that Cruz spent so much time outside Texas running for president. O’Rourke pledges to campaign in each of Texas’ 254 counties before the election. Along the way, he’s drawn larger-than-expected crowds, even in deeply conservative, rural areas like Lubbock. Cruz, believing he’s comfortably ahead, has decided he can largely ignore O’Rouke through November. At last count this fall, Cruz’s campaign fund was worth around $6 million compared to O’Rouke’s roughly $2.8 million. Asked about criticisms that Cruz was more interested in being president than senator, a spokeswoman didn’t mention O’Rourke while saying Cruz has “kept the promises he made” to Texans. Even some at O’Rourke’s events aren’t expecting miracles. “I don’t think it’s necessarily about winning the race as much as it is slowly changing the tide where, maybe next race, it is winnable,” said Pete Banda, 26, who attended a town hall in San Benito. A fourth generation Irish-American whose favorite phrase is “right on,” O’Rourke is the son of a longtime Democratic county judge and a Republican mother “who we’ve almost convinced to vote for me.” His first name is Robert but his parents called him Beto from birth. 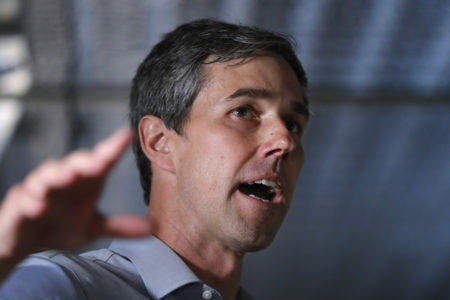 In the summers between semesters at Columbia University, where he studied English literature, O’Rourke played guitar and occasionally bass for an El Paso punk band called Foss. Bandmate Cedric Bixler-Zavala later fronted the better-known act The Mars Volta. 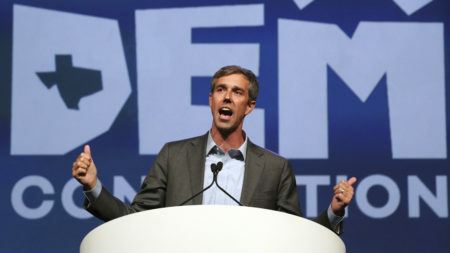 O’Rourke stops short of calling his campaign punk rock-inspired but does see similarities. Punk rock means acting “without waiting for the corporation or someone else, somewhere else, to give you orders, or to show you how to do it,” he said.